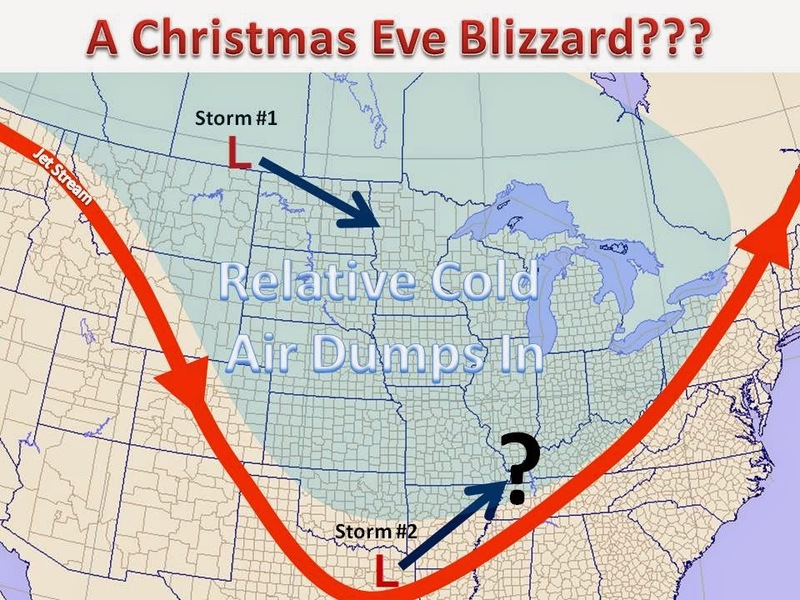 A complex and possibly travel crippling area of low pressure will affect the Midwest Christmas Eve into Christmas Day. The pattern next week will feature two storms, both a which will have a travel impact. However, models continue to be all over the place with the track, timing and extent of the cold air. We are still 4-5 days out, which is on the edge of confidence for most winter storms. The following will lay out the latest thinking, concerns and scenarios for Xmas travel. Updates will be persistent the next several days. EURO vs. GFS Illinios and Wisconsin 6"+ or Michigan 4-7"+ or something else? Something to note: This set up is eerily similar to a winter storm from November 24th. 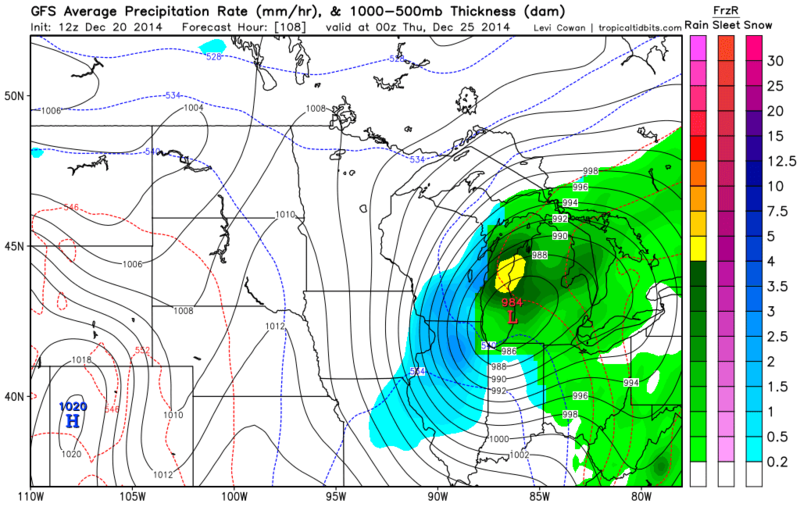 A strong surface cyclone with the influence of a northern stream dumped near 6" of snow in parts of Wisconsin (Post). Models did not show the heavy snow until a few days before the event, as models thought the northern stream would block the cold air from impacting the precipitation field. This storm, a month later, is even stronger and we are placing a 70% chance of an area of 6"+ somewhere in the Great Lakes by Christmas Day. The most consistent model (over the past few runs) has certainly been the GFS. It brings a deep low pressure from Mississippi into lower Michigan, dumping heavy snow on the back side in Illinios and Wisconsin. It has all the makings of a full blown blizzard, with tightly packed isobars in the area of heaviest snow. The storm will continue to strengthen as it pushes off to the north. Above are the two latest model runs from the the two major weather computer models. To wet the appetite, the GFS had a couple runs of 12-15"! The GFS, or American Model, has been more consistent in a solution similar to this, while the EURO has also been somewhat consistent. The EURO believes the cold air will not be present in time for heavy snow. As stated before, recent history would suggest the contrary, but this will certainly be something to watch closely in the coming days, be sure to check back here and our facebook page for continued updates. To put in proper weather terms...this could be a big one!